I hope you all like this wallpaper like the others. I did a blur effect in the scan and in other layer I put it in overlay... did you see? Wow! Nice & bold pop-art like background! And a well chosen colour scheme. The scan still stands out a little in places. Perhaps you could soften around the edges. I'll write all the things you said to me to improve my wallies! 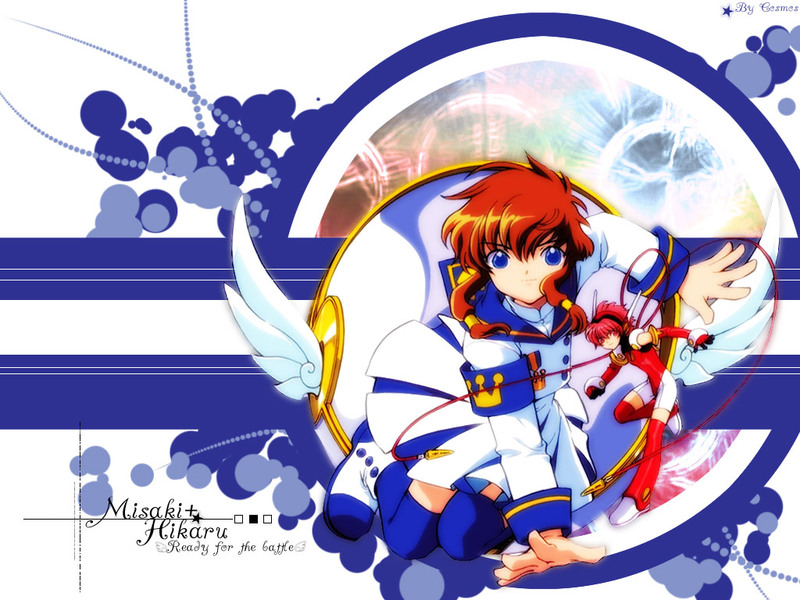 I'll try to make more Angelic Layer wallpapers! I know they are rare... this is sad... AL is a really great history! Great wall of Misaki and Hikaru. Nice work on the background too. Striking and effective. Keep up the great work. Cool bg...those dots really are something. Erm..dunno wat else to say...except for WELL DONE! It's a great wall indeed. Great efects! I like how u use the brush! WOWZ! IT'S ADOWABLE! (LIKE ALWAYS MISAKI-CHI IS CUTE!HE-HE!) (OMFG DID I JUST GIGGLE...PLEASE KILL ME. NOE!) IT'S REALLY GOOD! WHEN I WROTE NOE I MENT TO WRITE NOW! OOPS!